Many companies turn to the Cloud for applications including business productivity, Email, Analytics/BI, and Collaboration Applications. Other applications of Cloud technology include Virtual Desktop, CRM, Call Center and Voice Applications. When you migrate to Cloud from “on- premise” applications your business will gain a variety of benefits, provided you consider network security and performance in your planning. Without these migration considerations you may not achieve the full benefit of your Cloud Migration. Cloud Services offer a range of benefits. Cloud Computing may offer the ability to cut costs, reducing capital expenditures and operating complexity. 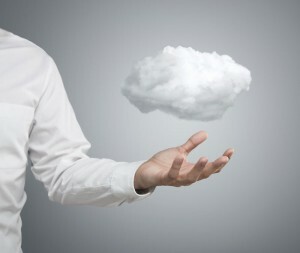 In some cases, cloud offers simplicity or speed of deployment. You may also benefit from modernizing your legacy IT environments. Some companies turn to the Cloud for new software licensing and upgrade models, favoring the predictable pricing of Cloud subscription models over the up-front costs of a “on-premise” deployment. Cloud Computing can also offer your business new capabilities and features not available in on-premise versions of your favorite applications. Many companies report that Cloud solutions are simply a better option. The majority of companies find it requires little effort to move from an experimental stage of Cloud Usage to Non-critical use. An example might be a departmental pilot for a productivity application going live and into a production environment within the department. Taking an application to full production may require moderate to significant effort. An example is a company-wide rollout of a communications and collaboration platform. In the rollout of a company-wide application that replaces existing infrastructure, proper planning along with expert guidance can make the difference in the ultimate outcome of your Cloud Migration. If you are considering migrating to the Cloud, why go it alone? Contact your technology advisor to ensure you navigate the challenges of your Cloud Migration.